Gareth Southgate has included a few surprise additions in his first England squad since becoming the full-time boss, for games against Germany and Lithuania later this month. Here we look at who was picked in each position, and who missed out on this occasion. Southgate has decided not to mess around too much in the goalkeeper department. Joe Hart and Tom Heaton remain from the last squad, whilst Fraser Forster returns from injury. 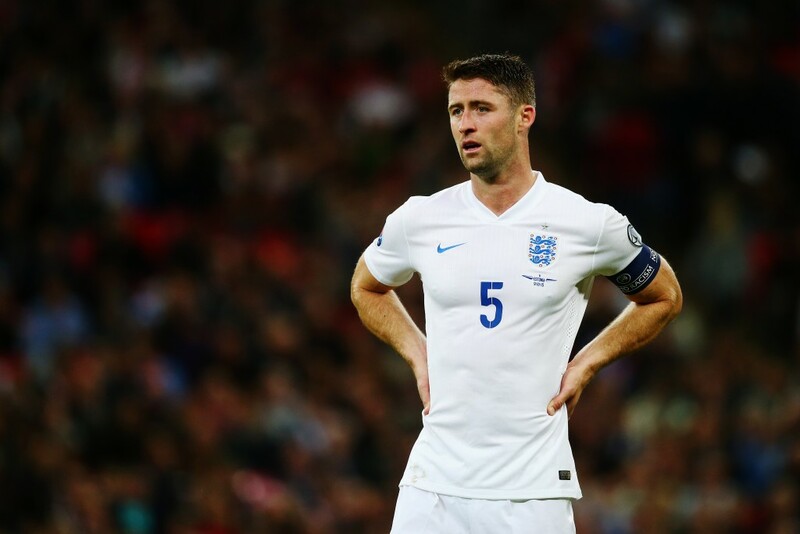 Gary Cahill, John Stones and Kyle Walker were all certain of a place in the squad. Michael Keane has retained his place and will be hoping for a first senior cap. Luke Shaw has been selected in the absence of Danny Rose, despite only playing twice in 2017 so far. Nathaniel Clyne and Ryan Bertrand keep their places and there are call-ups for the Manchester United pair of Phil Jones and Chris Smalling. Jordan Henderson would have been a dead cert for the squad but was forced to withdraw through injury. The rest of the midfield is mostly all change from the one that faced Scotland and Spain, with only Eric Dier, Adam Lallana and Jesse Lingard being involved last time out. Most of the surprise inclusions come in this area, with Southampton pair James Ward-Prowse and Nathan Redmond being promoted from the Under-21’s. Jake Livermore returns to the international fold, with his only previous cap coming back in 2012. The midfield is completed by Dele Alli, Ross Barkley, Alex Oxlade-Chamberlain and Michail Antonio. An injury-hit area for Southgate with Harry Kane picking up a recent ankle injury, Daniel Sturridge not playing for over a month and Wayne Rooney also unavailable. Marcus Rashford is selected for the senior squad, after it was thought he would be part of the Under-21’s this month. Jamie Vardy keeps his place and will probably start the next match. Raheem Sterling adds pace and trickery, whilst the final place goes to Jermain Defoe. The 34-year-old is in line to add to his fifty-five caps having not featured for the national team since 2013. Several youngsters who were tipped for a possible call-up remained with the Under-21’s. These included goalkeeper Jordan Pickford and Tottenham midfielder Harry Winks. Ben Gibson, Harry Maguire and Steve Cook were all mentioned as possible defensive call-ups but they will have to continue waiting for a first cap. Phil Jagielka, Aaron Cresswell, Andros Townsend, Jack Wilshere and Theo Walcott are all dropped from the last squad. Andy Carroll has not been selected, although that was revealed before the squad was named.